You couldn't really pick a spot much more in the middle of Sri Lanka than Rukgala. For that reason we think we're a pretty ideal stop on a good number of routes around the island. To help give an idea of how those could work we've planned out and priced up three (varying) trips below. The prices shown are to give an indication and will vary according to room-type taken and time of year. If you'd like help in arranging any of them (or tweaking to suit time and budget), then The Ceylon Guide, with whom we work closely will be happy to help. 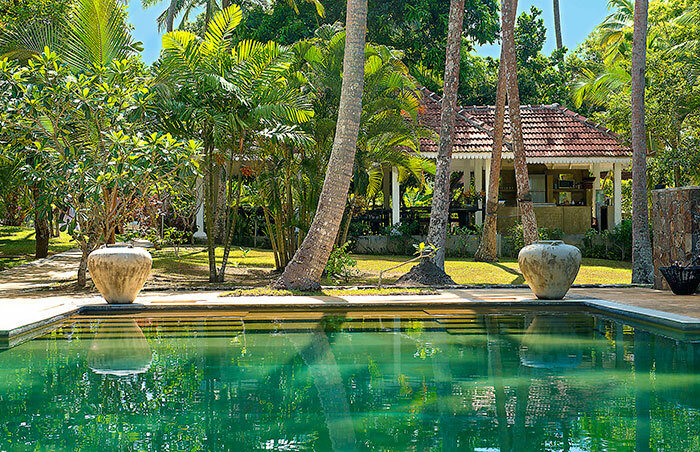 Recover post-flight with 2 days at this lovely old coconut estate. Head to the hills near Kandy and the tea estate at Ashburnham. Waterfalls, hikes, high tea and cooking classes. Down to Rukgala for yoga, boating, wild swimming, meditation and more. Straight up into the hills and for Ashburnham Estate near Kandy. Tea picking, waterfall swimming and amazing scenic picnics. Gentle exploration at Rukgala with guided temple walks, yoga and meditation classes, Ayurvedic massage. Remote safari at this beautiful lodge near the East Coast. Time to relax at this beautiful, barefoot-luxury-style, beach house near Tangalle. Conclude the trip with 3 days yoga, SUP, and a little more beach time, staying at the gorgeous Duwa Villas, near Galle.